3) Implicit and Explicit variables. iv) Must be unique in the scope of declaration. They can be used for entire script. To store one value at a time, Value may vary throughout the Execution. To store series of values at a time based on size of the Array. Note: In Split Function default delimiter is space, we can use any value as delimiter, but we need specify the delimiter. They are used to replace literal values and they never change. 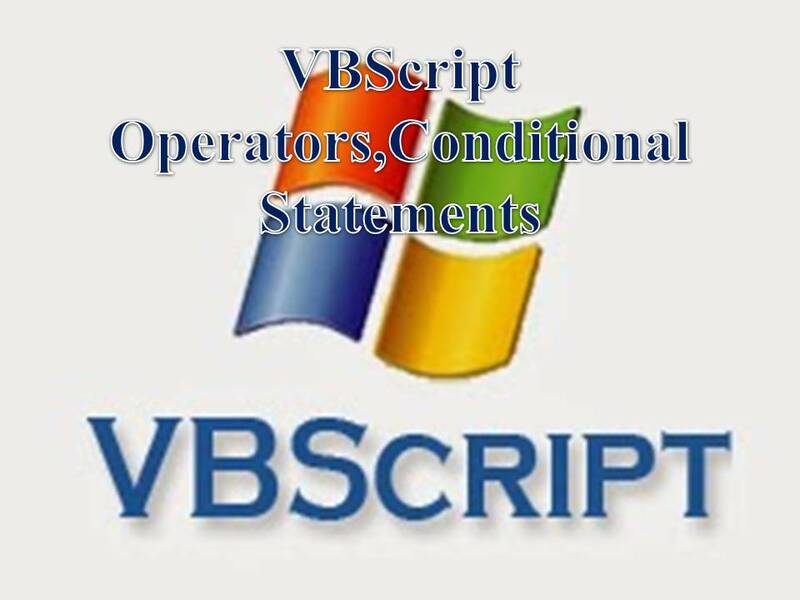 Generally VBScript evaluate operators from left to right, but if any high priority operator is there in right side then first VBScript evaluate high priority operator then general rule. Note: Comparison operators return Boolean (logical) result. ii) Execute a block of statements when condition is True. execute another block of statements.